Healthcare providers often recommend that people should walk thirty minutes to an hour per day to experience its powerful health benefits. Walking is an amazing exercise that can reduce your stress levels, lower your cholesterol levels, promote weight loss, improve concentration, and improve your fitness routine. However, if we walked the wrong way, it can lead to injuries, muscle cramps, pain, and aches. Walking may seem easy, but if done incorrectly, it can be very harmful. 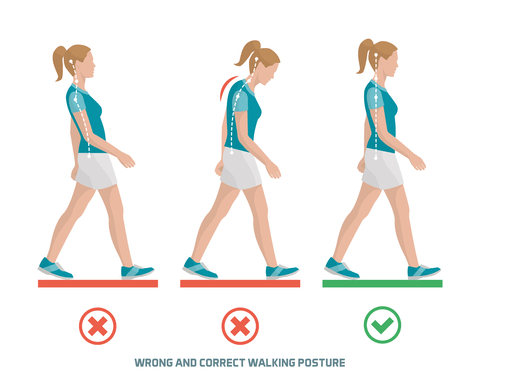 Because walking is something you do on a daily basis, it’s difficult to know whether you are walking correctly or incorrectly. Not all shoes are designed for regular long walks, and women are notorious for picking the wrong shoes, after all, we choose fashion over durability. Using the wrong types of shoes like heavy, stiff, old, and small shoes can result in plantar fasciitis, knee problems, and stiff muscles. It is advisable to visit an athletic shoe store to get the best womens walking shoes. The shoe experts can measure your feet and provide you with a brand of athletic footwear that is lightweight, flexible, brand new, and adapts well to your feet. 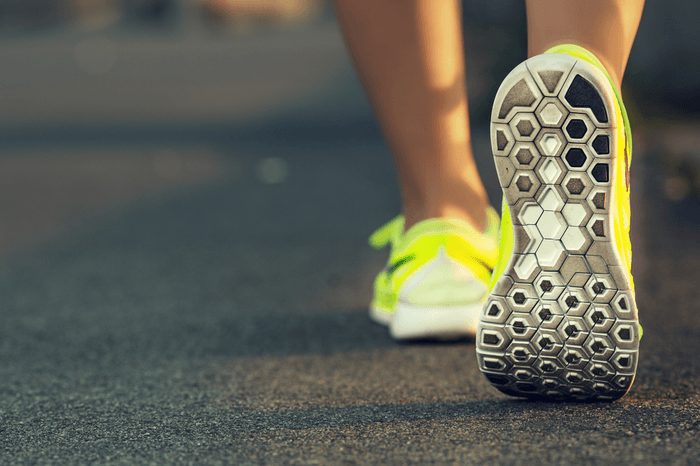 Keep in mind that you should replace your walking shoes after every 500 miles because the cushion and support in your shoes will break down over time. The proper way to walk is from heel to toe, and the most common mistake that people make is that their foot flatten out prematurely and they land flat-footed. This might be due to stiff, heavy shoes, and that can be easily treated by purchasing the right athletic footwear, and if you continue to walk flat-footed, this can be very painful for your shins. Fortunately, there are ways to see if you are walking flatfooted like If you land flatfooted with each step and notice constant shin pain, then that is an indication of flat foot, and you can cure this with some strengthening exercise for your shins, lower legs, and ankle. Another way of healing flat foot is that you can stand upstairs with your heels hang over the edge, then dip the heels down and then raise them high, and repeat this 10 to 20 times. Another exercise is while you are sitting, tap your toes quickly for several seconds, then write the alphabet in the air with your foot. You can also walk on heels for 30 seconds before you start your daily walk. Another common mistake that people make is keeping their arms stiff and straight at their side; you can easily lose balance and momentum when you do that. After all, your arms act as a way to balance you while you walk. The best thing to do is to bend your arms at 90° and swing them back and forth as you walk. This provides an excellent balance and prevents injuries and potential falls. In addition, the extra motion can help burn some calories. 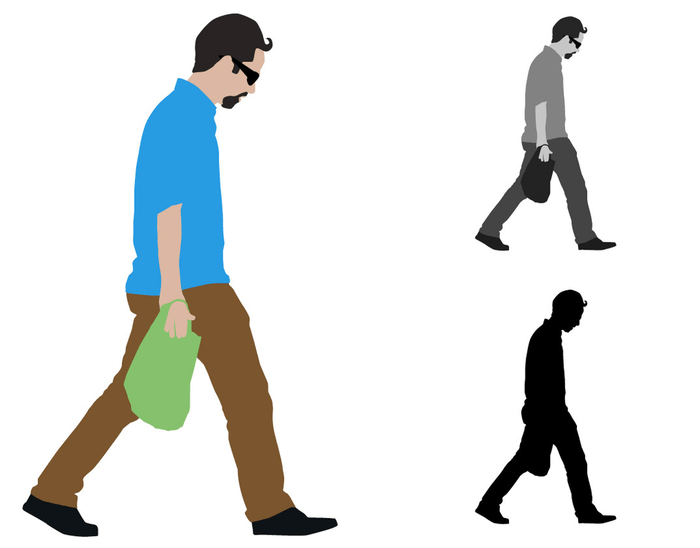 If you are constantly looking down as you embark on your daily walk, you may be engaged in a distracted walk, which can be very bad for your posture and can result in neck and back pain. This often occurs when you are addicted to your mobile phone. The best thing to do is to put your iPhone down and to look up as you walk. Good posture can help you to breathe efficiently and to prevent back neck, and shoulder pain. Your eyes should be focused on the street, and to look 10 to 20 feet ahead; that way, you can dodge any accidents or cracks. If you don’t drink enough water before, during, and after the walk, you would feel very lightheaded and dizzy, which is not a good feeling to have. The best thing to do is to drink a glass of water ten minutes before your walk, and after your walk, that way your body is well hydrated. 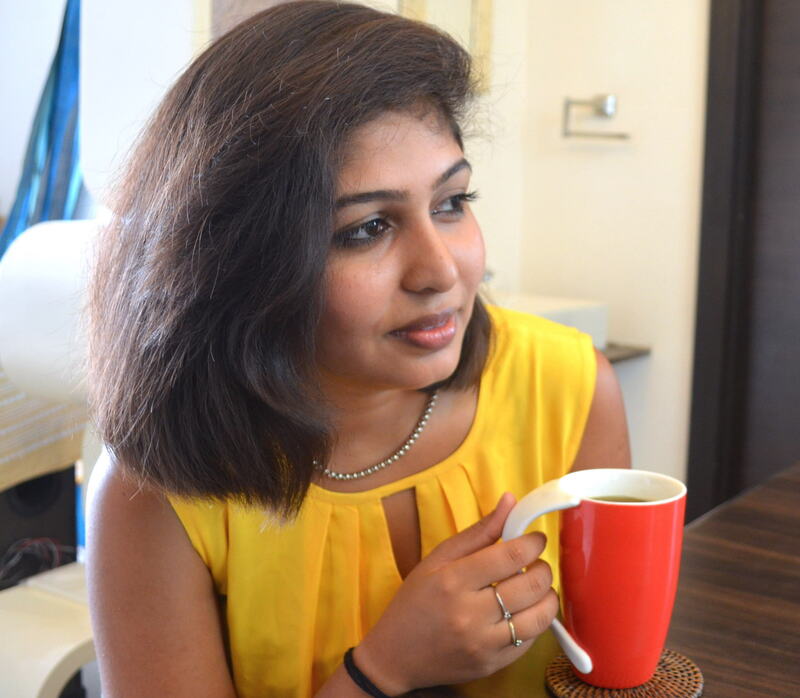 It’s best to avoid caffeinated beverages because it is a diuretic which can cause you to urinate more often, which can result in significant water loss. If you are walking for over two hours, it’s best to use an electrolyte replacement sports drinks such as Gatorade. We lose precious electrolytes while we sweat, that way, you will be well hydrated and have the proper electrolyte such as potassium, sodium, and magnesium replenish in your body. If you are doing a long distance walk, it’s best to drink when you are thirsty, which is most often during your long walk. If you are an avid walker or someone who just started the journey, it can be a major life-saver and crucial to avoid these five common mistakes. This can help reduce injuries and promote better walking posture and health benefits. It is advisable to spend 10 to 15 minutes stretching before you start walking which can help prevent potential muscle cramps along the way. Make sure to keep yourself well- hydrated, wear the proper shoes, and keep yourself from walking flatfooted or with a stiff arm. After all, walking can provide a lot of health benefits, and in order to utilize its full potential, it’s important to do it correctly.